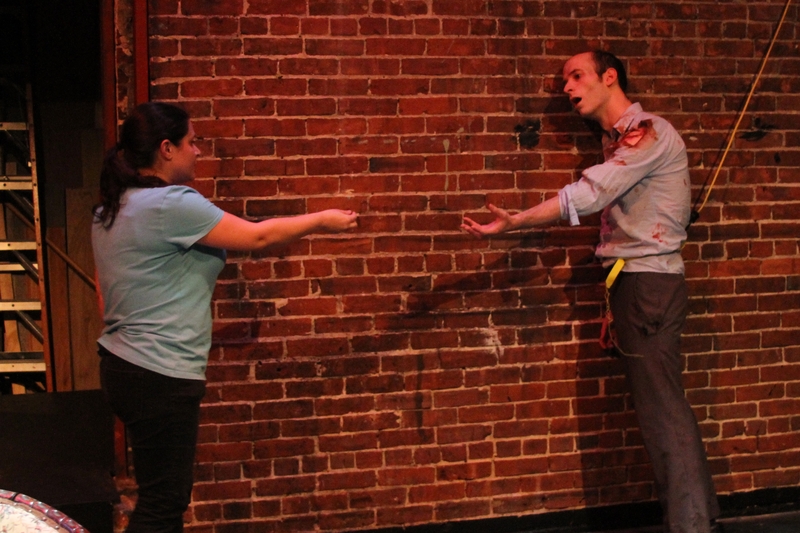 Photo Credit: ImprovBoston; This ain’t your Daddy’s zombie-fest. October 24 – 31, 8pm and 10pm shows. 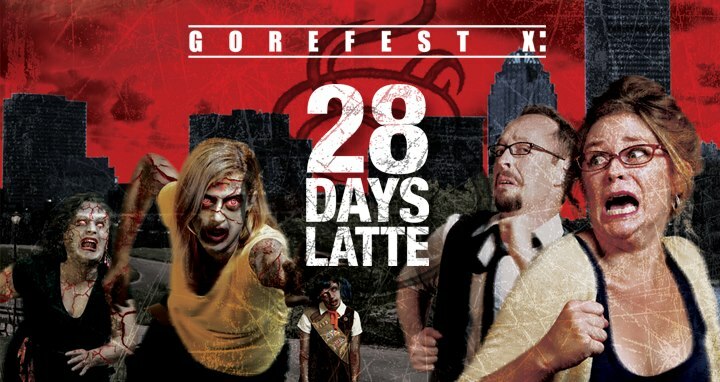 (Cambridge) GoreFest X: 28 Days Latte — ImprovBoston’s 10th Annual Halloween Horrorshow — is a brand new musical comedy from writer/lyricist Don Schuerman and composer Steve Gilbane. The Zombie Apocalypse is upon us, and a bunch of hipsters and two senior citizens are trapped inside a coffee place as they fight back the rampaging hordes. The show is dripping with tasteless dialog, juvenile humor, memorable music. Like every GoreFest, this year’s show features copious amounts of fake blood, gore and other bodily fluids, not all of which ends up on the actors. BEWARE: AUDIENCES IN THE “SPLATTER ZONE” MAY BE COVERED IN FAKE EVERYTHING YOU CAN IMAGINE; WITH A COUPLE EXTRA SHOTS OF BLOODY ESPRESSO (Dress For The Season).